Asian stocks advanced on Friday, once again shrugging off a sluggish day on Wall Street, and the dollar strengthened as attention shifted to the central bankers’ symposium that began on Thursday in Jackson Hole, Wyoming. Europe looks set for a similar start, with financial spreadbetter CMC Markets expecting Britain’s FTSE 100 .FTSE to open little changed, and Germany’s DAX .GDAXI and France’s CAC 40 .FCHI to start the day up 0.1 percent. 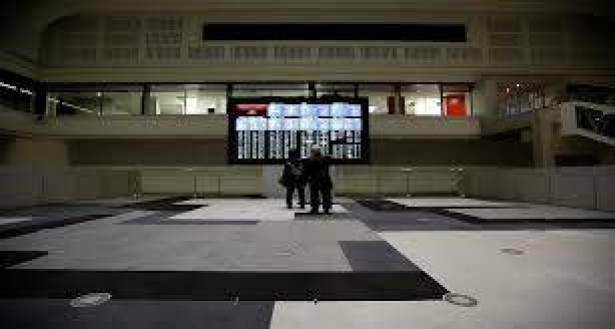 MSCI’s broadest index of Asia-Pacific shares outside Japan .MIAPJ0000PUS, was up 0.25 percent, set to end the week 1.6 percent higher. Overnight, Wall Street indexes closed between 0.1 percent .IXIC .DJI and 0.2 percent .SPX lower as a rift between U.S. President Donald Trump and Congress appeared to widen. In a post on Twitter, Trump said Congress could have avoided a legislative “mess” if it had heeded his advice on raising the amount of money the government can borrow, known as the debt ceiling. That came after Trump said on Tuesday that he would be willing to risk a government shutdown to secure funding for a wall along the U.S.-Mexico border. A late-September deadline looms for the United States to raise the its debt ceiling or risk defaulting on debt payments. The MSCI World index .MIWD00000PUS was steady, heading for a 0.7 percent weekly gain. Japan’s Nikkei .N225 advanced 0.6 percent, heading for a flat end to the week. China’s Shanghai Composite index .SSEC jumped 1.5 percent to its highest level since January 2016. Hong Kong’s Hang Seng .HSI gained almost 1 percent. South Korea’s KOSPI .KS11 climbed almost 0.1 percent and Australia’s S&P/ASX 200 index was little changed. The dollar rose as investors turned their attention to the Jackson Hole central bankers’ meeting at which Federal Reserve Chair Janet Yellen and European Central Bank President Mario Draghi are due to speak on Friday, although no new policy messages are expected from either. Yellen and Draghi will are scheduled to speak at 1400 and 1900 GMT respectively. “Expectations for further rate hikes (by the Fed) this year have been tempered by the stubbornly low inflation with some Federal Reserve members calling for a halt to the rate hiking plan,” said William O’Loughlin, investment analyst at Rivkin in Sydney. The dollar was also helped by fewer-than-expected U.S. initial jobless claims for the week ended Aug. 19. The dollar was slightly stronger on Friday at 109.64 yen JPY=D4, extending Thursday’s 0.5 percent gain, and heading for a weekly rise of 0.4 percent. Japanese core consumer prices rose for the seventh straight month in July, a sign the economy is making steady but painfully slow progress toward meeting the central bank’s 2 percent inflation target, although the increase was still largely driven by higher fuel bills. The dollar index .DXY, which tracks the greenback against a basket of six major peers, was little changed at 93.29. It is poised to end the week 0.15 percent lower. The euro EUR=EBS was steady at $1.17975, set for a weekly gain of 0.3 percent. In commodities, oil prices rose on Friday as production was shut down on expectations Tropical Storm Harvey would become a major hurricane when it reaches the Texas coast on Friday night or early on Saturday. That came after crude prices fell overnight as some refiners shut down as Harvey crossed the Gulf of Mexico, reducing their short-term crude demand. Harvey could turn out to be the most powerful hurricane to hit the U.S. mainland in 12 years, packing winds of up to 125 miles per hour (200 km per hour), driving a surge in sea levels as high as 12 feet (3.7 meters), and dumping up to 35 inches (97 cm) of rain over parts of Texas. U.S. crude futures CLc1 rose 0.7 percent to $47.75 a barrel, after Thursday's 2 percent slump. They're on track for a weekly fall of 1.55 percent. Global benchmark Brent LCOc1 advanced 0.7 percent to $52.41, and is headed for a drop of 0.6 percent for the week. Copper remained near a three-year high hit on Thursday on signs of stronger demand in top consumer China while inventories in London warehouses fell. Benchmark copper on the London Metal Exchange CMCU3 inched up 0.35 percent to $6,712 a tonne, extending Thursday's 1.9 percent gain and set to end the week up 3.5 percent. Gold XAU= was up slightly at $1,287.07 an ounce, heading for a 0.2 percent gain for the week.